One person keeping the Torah perfectly does not automatically render it obsolete. Imagine what would happen if, at the end of his term as President, Barack Obama had risen up and declared, "Over the course of the past eight years I have fulfilled every aspect of the Constitution of the United States perfectly. Now that it is fulfilled, its authority over this nation has been put to an end in me. Today I tell you, the United States has only one law: that you love one another." First of all, this situation is absurd. For one, every good president fulfills the Constitution. That just means that they properly execute what it says and means. Doing a good job at that does not entitle a president to any special status, claim, or reward. Second, the Constitution is not a problem waiting to be solved. The Constitution does not include a clause stipulating that if someone manages to keep it perfectly, then it no longer applies. One person being constitutionally faithful does not give other people the right to be unconstitutional. 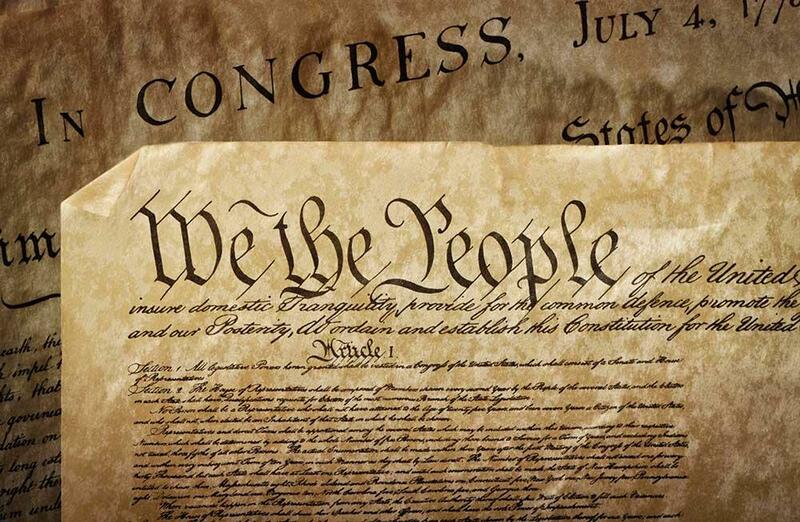 Third, the Constitution is the foundation for the entire legal system of the United States. Without it, there is no basis for law or justice whatsoever. 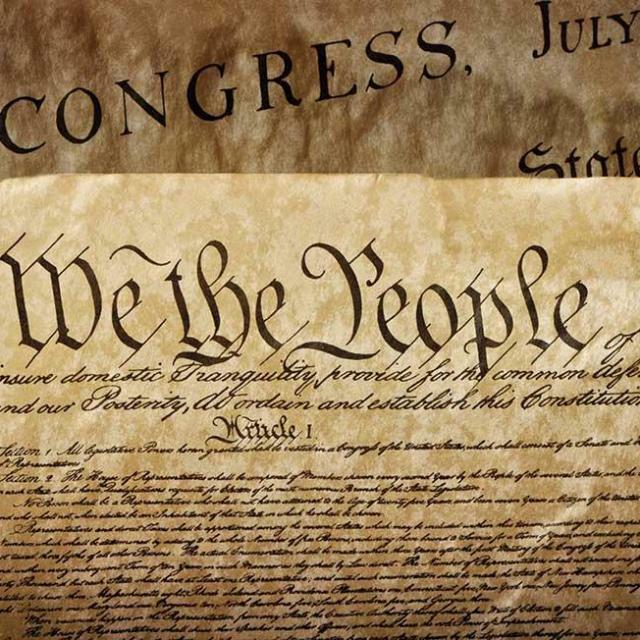 In fact, without the Constitution, there would be no such thing as a president, since it is the Constitution that provides the foundational definition of that office. The president's authority is derived from the Constitution. If the president canceled the Constitution, he would be nullifying his own authority and office. Furthermore, if the Constitution—and by extension, all the legislation that is founded upon it—were to be canceled, then the nation itself would cease to exist. There would be no boundaries and no definitions, only chaos. There would no longer be such a thing as the United States of America. Seeing these disastrous consequences, people naturally rise up to defend the Constitution whenever they perceive that it is in jeopardy—sometimes with nearly religious patriotism. This is good and right. To some Christians, the Torah served a limited purpose: to reveal the Messiah, his identity, mission, and our need for him. Once it has served that purpose, it is little more than a relic of the ancient past. But this view has the same problems as the hypothetical situation I posed regarding the Constitution. Sure, the Torah teaches us about the Messiah, just as the Constitution teaches us about the president. But anyone who legitimately claimed the office of Messiah would have to be rigorously observant of the Torah and uphold it. They would have to see to it that it is properly interpreted and enforced. That is a central part of the Messiah's task, just as it is the task of all judges, rulers, and kings provided for in the Torah. Any officer who fulfills the Torah in this way is just doing their job. If they do not, they are considered wicked. Likewise, the Torah does not include any provision that one may cancel it by keeping every law. There is no mechanism by which one person keeping the Torah perfectly alleviates everyone else from the responsibility of doing so. Many people view the Torah as serving a doctrinal or educational purpose, or as a source of inspiring quotations. Even some people who are Torah-observant view it as merely a personal guidebook to life. But that is not the context in which it was given. The primary role that the legal component of the Torah played in ancient Israel was that of the foundation of government. The ancient Israelites were a civilized nation. They had judicial courts. They didn't (as some folks imagine) execute some sort of savage vigilante justice system where people threw rocks at each other. They had a foundational legal document—the Torah—and they built upon that foundation, just as governments do today, through legislators and case precedent. This process continues even today. In the land of Israel, the Torah was essential for maintaining and preserving the Jewish national identity. When the Jewish people were removed from the land, the Torah became even more essential in preserving Jewish national identity. Through God's gift of the Torah, the Jewish people still managed to remain a distinct nation even outside of physical borders. This nation has a legal foundation, which is the Torah. But if someone were to ask the Jewish people to give up the Torah, the Jewish nation would lose all definition and become absorbed into the surrounding nations, God forbid. There would be nowhere you could point and say, "those are Jewish people." The cultural, genetic, and linguistic ties would dissipate through assimilation. When Christianity demands of Jews that they give up the Torah, they are asking them to give up their God-given national identity. That is asking for national suicide. While such a Christian may not personally harbor hatred against Jews, the net effect of this theology is destructive to the Jewish people; functionally, this doctrine is anti-Semitic. Thankfully, there are many Christians today who reject the notion that Jews must reject Torah to accept the Messiah and who support Jewish followers of Yeshua in retaining and upholding their Jewish identity.